Posted on February 22, 2017 at 8:33 am. Really? I thought. This was a complete revelation to me. It prompted me to think about something that I have instinctively known for the past decade: that historical fiction writers have some very heavy lifting to do! This should not have been a surprise after nine novels. Each time I want to start a book, I have to look not just for a premise, but for a historical era and location that makes sense for the story. Once that’s settled, it still isn’t time to write. There is the big question of historical research, which I generally describe as three questions: 1) how to do historical research; 2) how to incorporate historical research; and 3) how not to screw up the historical research. How to do historical research. This is a process that varies from author to author, as well as from project to project. I once heard another author say that in order to write historical fiction, she had to research for months ahead of time, until the research is “sewn to her skin.” Some of us do just a bit of research and then delve in, researching contemporaneously as we write. For myself, I have to be careful that I don’t go so deep into the research that it overtakes the story itself, or becomes a means to avoid writing (Like on my current work in progress, she thinks, hoping her editor isn’t reading this!) The methods of researching historical fiction vary, too. Some writers need multiple trips to the place about which they are writing. I agree that going to Europe several times would be ideal, but it’s not always possible in this world of kids and day jobs. So I sometimes have to rely on other sources: books, periodicals, photographs, maps, correspondence from the era, etc. The internet is truly a wonder in this regard. How to incorporate historical research. Once you have the research, how do you weave it into the story you are writing? 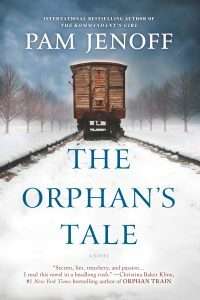 I am a historian by training and when I find a rich bit of history (such as the true story of the Jewish circus dynasties that partially inspired The Orphan’s Tale), I want to spend pages telling you all about it. But if I am heavy-handed about it, this will slow down the plot and take the readers out of the story. So I have to be sneaky about it! The art of incorporating historical research into fiction is too complex to get into here, but I like to unfurl detail slowly to make it part of the setting and the plot as needed. How not to screw up the research. I wish I knew. I research, have experts fact-check my research—and there is still at least one mistake in every one of my books. (I’m just not going to tell you what they are!) Readers are a clever bunch. They find the mistakes (thanks, Wikipedia!) and call me out, often on Facebook or Goodreads. And I’m glad. Knowing savvy readers are out there raises the bar and makes me try harder to avoid the mistakes. Tired after listening to all of this? Me too! So why do I keep writing this type of book, which is labor intensive and fraught with landmines? Because the joy of bringing history to life is like no other, an opportunity and responsibility to speak for those who can no longer do so themselves. And because readers of historical fiction are a very special bunch. As long as I know they are out there wanting to read about the past, I will keep writing the books. Do you love historical fiction? Let us know your favorite novels in the comments below! 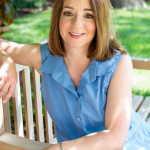 Pam Jenoff is the author of several novels, including the international bestseller The Kommandant's Girl, which also earned her a Quill Award nomination. Along with a bachelor’s degree in international affairs from George Washington University and a master’s degree in history from Cambridge, she received her Juris Doctor from the University of Pennsylvania and previously served as a Foreign Service Officer for the US State Department in Europe. Pam lives with her husband and three children near Philadelphia where, in addition to writing, she teaches law school.